It seems like Kanye West is back on point. His latest album, Ye, is certainly an engaging album. 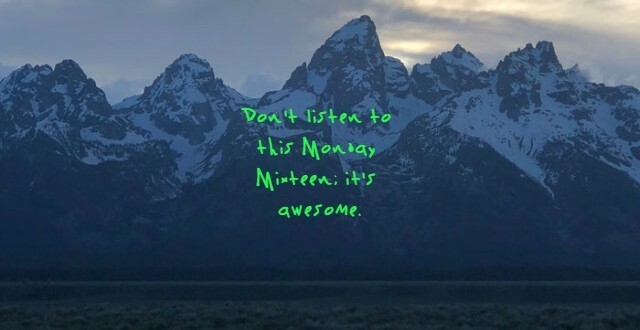 The album’s cover has become almost instantly iconic, even inspiring a Ye Meme Generator. But really, do you think that The Ghost would cheapen himself to do a Ye themed playlist with a Ye inspired cover photo? The below sixteen songs have one thing in common. At some point in this song’s title, you’ll see the letters ye together. Sometimes it’s inside the word, sometimes it’s the beginning of the word. In one case, ye is the word in and of itself. So enjoy this playlist, and let’s hope Kanye doesn’t sue The Ghost for adapting his art cover work; that would be bad. Yikes!